Albanian outfit, FK Partizani Tirana, has unveiled Nigerian striker, Matthew Boniface. The bulky striker, who started his career in Nigeria’s lower division with Supreme Court joins Albania’s third most successful side. “It’s great to be back in the game again and can’t wait to play with my new team. 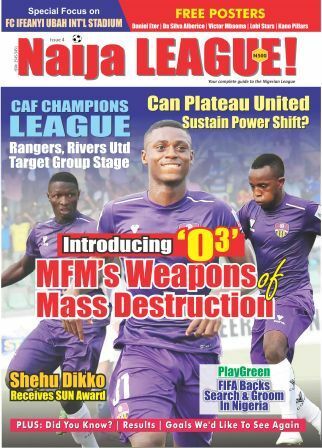 I signed last year, but had to wait till January 1, 2017, to make it official”, Boniface told naijaleague.com.ng. 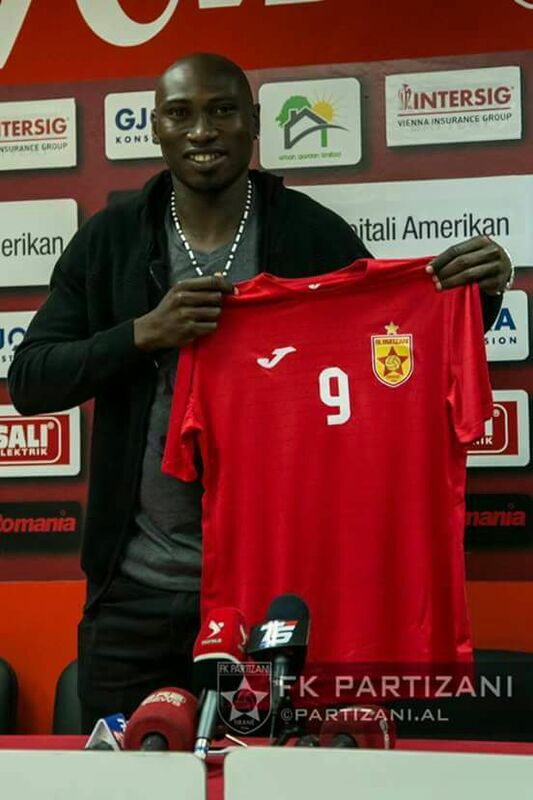 Boniface will wear the number 9 jersey at Partizani. “Wearing the number 9 jersey is special to me” the bulky forward, who is fondly called ‘Rashidi Yekini’ by fans said to naijaleague.com.ng after the unveiling ceremony, on Wednesday, January 5, in Tirana. Boniface is a strong forward with the ability to beat opposing defenders with his quick feet. Before moving to Albania, the Benue State born forward played for Aris Limassol, in Cyprus and KF Trepca 89, in Kosovo. Boniface joins compatriot Sodiq Atanda at the club. Partizani have won 15 Albanian Superliga titles and 15 Albanian Cup titles.